Create the guided fly fishing trip of a lifetime! ** 30-day cancellation policy applies to all trips. What do we do at Clear Creek Outfitters? Well, we don’t sell key chains and coffee mugs; we’re too busy putting our clients on fish! The night before your trip is spent preparing for the next day, cleaning gear, and comparing notes with our other guides, in an effort to improve the next day. 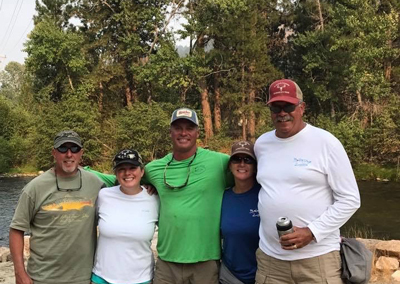 We live and breathe fly fishing and everyone that works with us, knows our profession will probably never make us rich, but it’s our passion that strives to make your day the best it can be. 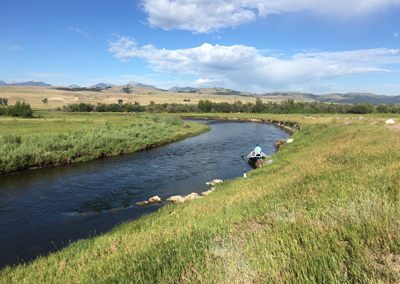 If you’re not familiar with Missoula’s fly fishing opportunities then you should be! 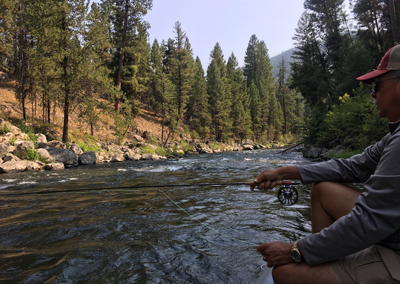 Its home to 4 world class blue ribbon trout streams: The Bitterroot Riiver, Blackfoot River, ClarkFork River, and Rock Creek not to mention the Missouri River which can be accessed on a day trip. Any one of these rivers would be reason enough to come to Missoula but the fact is, being based in Missoula, we can access several hundred miles of prime water on any given day. #1 Every trip we do deserves patience, hard work, and understanding of the client’s needs; anywhere from a complete beginner, to the seasoned expert. #2 Certain times of the year and certain clients require different schedules. For instance the hottest part of the year we may need an earlier start to have the best fishing possible. Or a client may have a desire to fish a certain river at a certain time so flexibility is the key. #3 While catching fish is very important so is enjoying the day. Other outfitters preach racing down the river to make sure they’re first. We’re not on a set time schedule and our guides are completely competent to be able to catch fish in any cond. 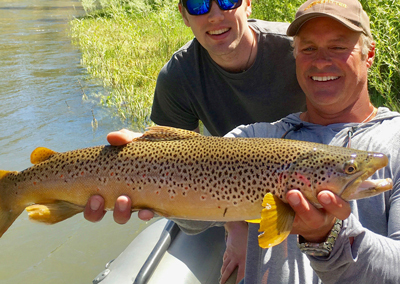 Our main goal is to tailor fit the day with the best possible result in making your trip memorable – Missoula Guided Fly Fishing Trips with Clear Creek Outfitters. Get the fishing report delivered right to your inbox, along with handy tips, fishing tales and great catches!